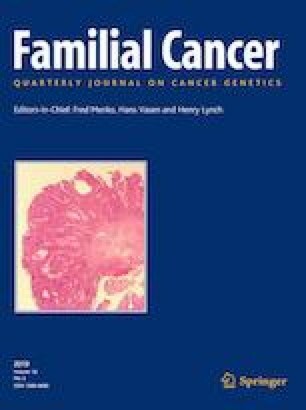 Familial adenomatous polyposis (FAP) is a cancer predisposition syndrome driven by germline loss-of-function of the APC gene and phenotypically manifests with intestinal polyposis and a variety of extra-intestinal bone and soft tissue tumors. Craniopharyngioma is not a well-described FAP-associated tumor, however, six cases have been reported in adults, all demonstrating ectopic location and adamantinomatous histology. We report the first case of craniopharyngioma associated with FAP in a pediatric patient. A seven-year-old girl who presented with headache and vomiting was found on magnetic resonance imaging to have a suprasellar mass with cystic extension to the pre-pontine space. The tumor represented an adamantinomatous craniopharyngioma (aCP) with nuclear β-catenin expression. Whole exome sequencing confirmed a CTNNB1 activating point mutation and a germline APC frameshift variant. This case represents the first FAP-associated craniopharyngioma in childhood…. expanding our understanding of the molecular underpinnings driving tumorigenesis in this unique patient. support for this study included a National Institutes of Health (NIH) Clinical Sequencing Exploratory Research (CSER) Award (1UM1HG006508).